Motorola has claimed that consumers are ready to store content online rather than using expandable storage on its tablets. "We are definitely focusing on cloud storage [for the new tablets] as the content we're pushing is using this method, so we decided to keep the 16GB capacity as a result. "We think the UK is set up for cloud-based connectivity as there are a lot more apps and services out there using this method. For instance, Google Books is all stored remotely and you can then sync the books down. "Certainly in the coming years there will be a lot more of a push to cloud storage with the content able to be stored offline." Notton did say Motorola could feasibly make a larger-capacity version of the Xoom 2 with expandable memory, but said the company believed the current version would serve the market well enough. 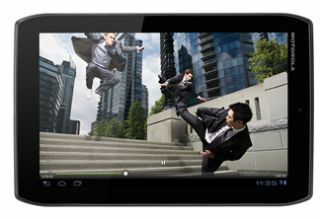 The two new tablets are also going to be launched without 3G-enabled models, at least for the foreseeable future, with Notton stating that Motorola is seeing a large rise in users connecting using other methods. "We do see a lot of hotspots being used on smartphones, with many people now having the ability to connect in this way." The Motorola Xoom 2 UK release date has been set for mid-November in the UK, so it will be interesting to see.